The London School of Make-up is the most famous and recognised make-up school in London and Europe offering students the best and most comprehensive make-up courses, make-up artistry training and media make-up courses in the world. We also offer the worldwide IMA accreditation recognised internationally and offered in sixteen cities throughout the world. Having worked for over thirty years in the beauty, fashion and make-up industry – including eighteen years as Founder & and Managing Director of London Esthetique (known as The London School of Beauty & Make-up), Mostyn Barnard set up an independent school devoted entirely to education in make-up application and its allied industries. 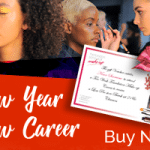 Using all his prior knowledge and experience, he has gathered together the elite artists of the make-up industry to pass on their craft and technical know-how to the next generation of aspiring hair and makeup artists. From his experience in make-up education, he truly believes the following two statements: “You don’t know what talent you have until you try it”, and “you are never too old to start a new career”. Our school is conveniently situated in central London, close to the junction of Oxford Street and Regent Street. Each of our three studios is fitted out with wall mirrors and stage lights, giving students a professional studio feel. This is because we want our students to be as ready as possible to enter the industry and this look and feel provides that. Our mission is to offer students the best and most comprehensive make-up training in the country, from some of the industry’s wealth of up-to-date talented professional make-up artists. These talented individuals are invited to hand over their knowledge – gained over years of experience in the industry – to our students. We believe our students gain a wealth of knowledge and leave feeling career ready, but don’t just take our word for it, have a look at some testimonials to see what our students think. 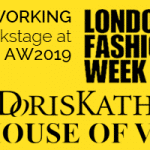 We are not limited to any one brand, but offer students the chance to work with most of the major fashion make-up houses while on the course, helping to widen their product knowledge, understanding and experience. The school aims wherever possible to keep course prices realistic and affordable, making them good value for money. To view all of the make-up courses we offer, visit the make-up courses section of our website.